Table, table, table… Here, here, here… wet, wet wet… Black is a solo performance by Mette Edvardsen about making things appear, recently performed at The basement in Brighton. Indeed the gap between the spoken word and the empty space is at times awkward to bridge as a viewer. 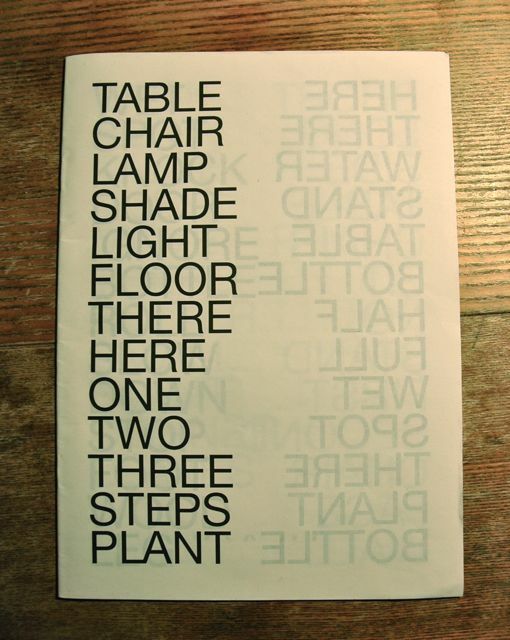 Yet with Mette’s persistence, using a ‘magic’ formula of ‘3’ – the repetition of each word three times, she manages to conjure images in the empty space, and by the end the space is literally furnished with table, chair,lamp, shade, plant, glass etc. The power of imagination is tickled forth and if you agree to play along, you might just find yourself rekindling with imaginary places shared by chirldren in play. Interestingly enough the piece also gave me the association to Plato’s “Allegory of the cave” where the question of ‘real’ could in fact just be an illusion. Shadows on the wall, or enumerations in space, we sense and can experience a space through her actions and pronouciations. This fascinating process can transport you into spaces where everything seems so real and tangible – just like in a ‘dream’. The performance offers a moment of suspension, and I highly recommend the experience! Check here for upcoming performances.